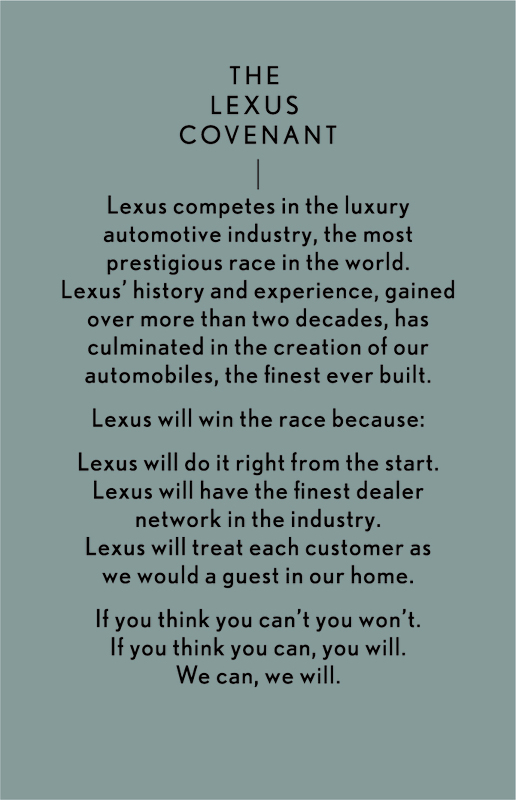 The Lexus Covenant was established well before we opened our doors for business in 1989. Still today, around the world, it secures the commitment to excellence for everyone at Lexus. © 2019 Lexus, a Division of Toyota Motor Sales, U.S.A., Inc. All information contained herein applies to U.S. vehicles only.